According to data issued by the National Bureau of Statistics, China’s GDP saw a 6.9 percent increase in 2017, the first rally in economic growth since 2011. China’s economic growth, retaining steady development and continuing structural optimization, has been widely affirmed by foreign media. As America’s Consumer News and Business Channel (CNBC) quoted from experts, China is at a transitional phase, with its emerging new economic drivers replacing the old ones, for which innovation acts as a mighty propeller, facilitating the development of emerging economies. 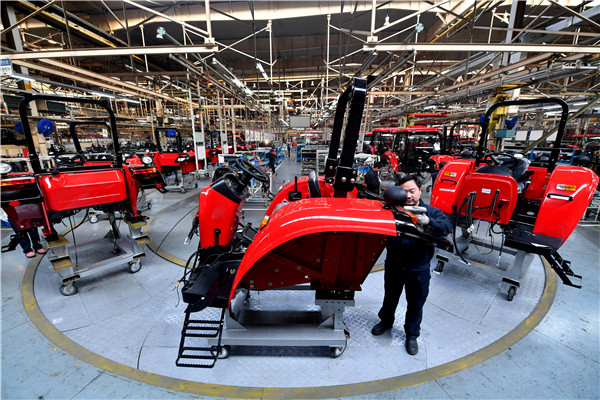 According to a report released by the World Intellectual Property Organization (WIPO) at the end of 2017, China has been continuously moving up places in the value chain of global manufacturing, along with considerable improvements made in the added value of high-tech products and related services. This promising trend of development demonstrates substantial momentum in its economic growth. Experts at China’s Industrial Bank, quoted in a report in Le Monde, a French newspaper, said that risks stemming from economic growth are well under control of the Chinese government. Additionally, a multitude of countermeasures have been introduced, including rigid regulations for shadow banks. Cheng Yulin, a director at Japan’s Marubeni Corp, greatly praised the higher-than-expected economic achievements in China. He said that China’s economy will continue to contribute to the global economic growth, and its economic upgrading approaches, highlighting supply-side structural reform, and its emerging economies will exert far-reaching effects on economic development in the country.